Gartner’s recognition follows continued momentum for Okta, including its recent customer conference, Oktane18, where the company launched Sign In with Okta, Project Onramp, API Products for One App and ThreatInsight. At Oktane18, Okta also unveiled new partnerships with VMware's Workspace ONE and Workplace by Facebook. Okta also continues to expand globally, recently announcing that it will be doubling the size of its San Jose office and opening new offices in Washington, D.C., Paris and Stockholm. For more information, please download the full Gartner report or visit our blog. 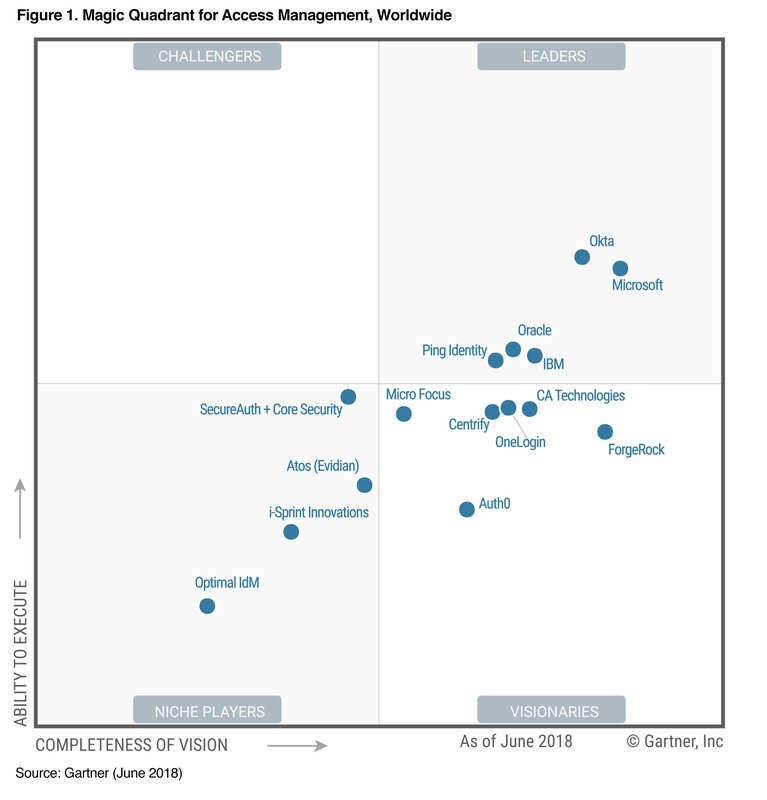 *Gartner, Inc., Magic Quadrant for Access Management, Worldwide, Gregg Kreizman, 18 June 2018. This graphic was published by Gartner, Inc. as part of a larger research document and should be evaluated in the context of the entire document. The Gartner document is available upon request from Okta. Would you like to receive email updates from Okta, Inc. about our products, events, and news? You can unsubscribe at any time by emailing [email protected]. *Okta would like to keep you in our database in order to send you product, service, relevant ads, and event announcements from Okta, and to share your information with certain service providers and partners, as described in detail here. You may unsubscribe from Okta’s mailing list at any time, by following this process.